(Hamburg/Harare 21 November 2012) - The Cotton made in Africa (CmiA) Initiative will begin working with around 30,000 smallholder farmers in Zimbabwe starting with the cotton harvest 2012/13. The objective here, as in the other six project countries, is to improve the famers’ living conditions. Zimbabwe ranked 173rd of 187 countries on the United Nation’s 2011 Human Development Index, making it one of the least developed nations in the world. Agriculture accounts for 19.1 percent of gross domestic product in Zimbabwe. Cotton production is grown almost exclusively by smallholder farmers and, after tobacco, is the second largest cash crop in the country. 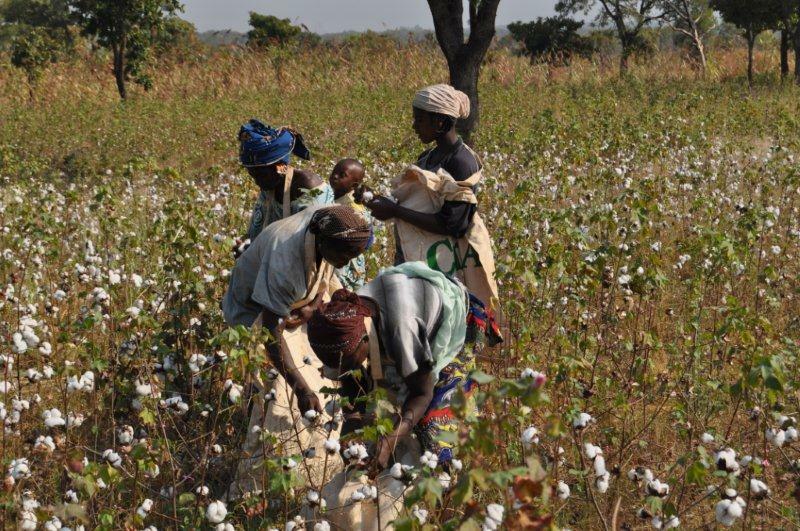 In training seminars, the smallholder famers who work with Cotton made in Africa learn sustainable and efficient methods for cultivating their fields, thus increasing both yield and income. CmiA has built up an international demand alliance to facilitate cotton sales and provide the famers access to the global market. Partner firms such as Puma, Tchibo, C&A and REWE purchase the sustainably grown cotton and process it further.